Puffbirds are related to jacamars, but lack the iridescent (brilliant, shiny) colors of those birds. Puffbirds have a small- to medium-sized body, a large head, large eyes, short neck and a sturdy, flattened, slightly curved or hook-tipped bill (bills are more streamlined in some species). They have short and rounded wings, and a short and narrow tail, although some species have broader and longer tails. The swallow-winged puff-bird has more tapered wings and a shorter bill than that of the other puffbird species. Their mostly brown plumage (feathers) is soft and loose, and is not as colorful as jacamars' plumage. However, it has a very attractive pattern consisting of white, buff, rufous (reddish), brown, and black colors, especially with its sharp breast bands and streaked, barred, or spotted underparts. Their feet are small and zygodactylous (zye-guh-DACK-tuhl-us; two toes facing forward and two turned backward). 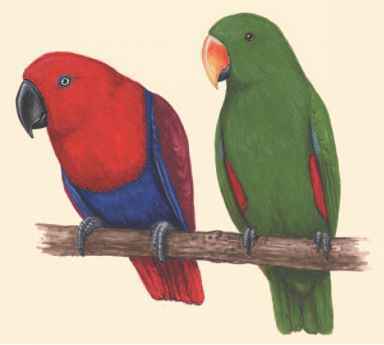 Males and females look nearly the same, except for two species. Adults are 5.1 to 11.4 inches (13 to 29 centimeters) long and weigh between 0.5 and 3.7 ounces (14 and 106 grams).